Providing garage door installations, service, maintenance and repairs to Tucson and southern Arizona. Discount Garage Door Company doesn’t employ commissioned sales people; just highly trained, professional technicians offering honest, expert advice. We offer the very best in parts, workmanship and customer satisfaction. You won’t have to deal with any “up-selling” with us! We guarantee you’ll be happy with our work and we offer the best warranties in the business on the parts we use. Want to save an extra 10% off our already low prices? Click Here to find out how! Here in Tucson and throughout Southern Arizona, we are the premier provider of garage door installations, replacements, service and repairs. We handle everything from broken springs and garage door opener problems, to installing brand new overhead doors from the top manufacturers in the industry including Amarr, Wayne Dalton and LiftMaster. As a true local company (not a franchisee of a big national brand), when you hire us, you have the company owner’s full attention. 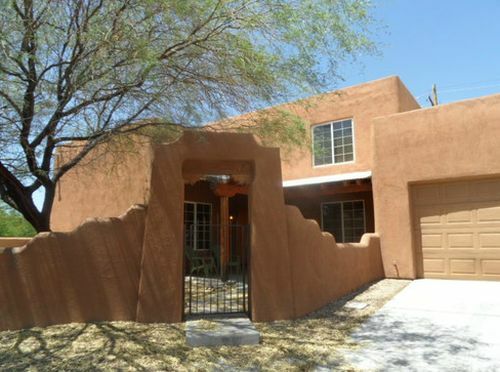 Our reputation depends on Tucson’s satisfaction with our work. And if you ask around or look at our client testimonials, we think you’ll see that our good reputation has been well deserved. Serving Marana, Oro Valley, Green Valley, Vail and the rest of Tucson’s surrounding communities. As a way to thank you for finding us online and giving us the opportunity to earn your trust and your business, we’d like to offer you an exclusive “on line savings”. Click Here to learn more! A garage door typically weighs over 400 pounds and has over 300 moving parts and is often the main access in and out of your home. When it’s not working, you need to get it fixed right… and right now! From spring changes to door replacements, we do it all. Regular service and maintenance can ensure a longer working life for your garage door opener. 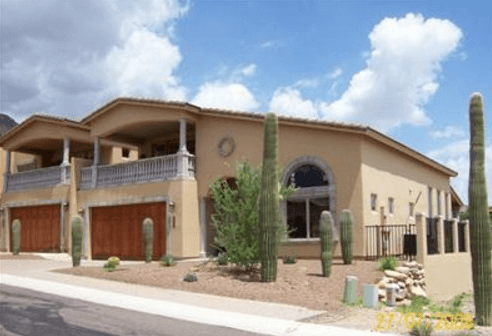 Being in business here in Tucson since 1999, we know there are certain special considerations that come with living in the desert. Installing a garage door is something that needs to be done correctly. Don’t risk injury, your own safety, or the security of your home by trying to do it yourself. Leave this job to the trained expert technicians at Discount Garage Door Company. We had a broken spring, discount door was reasonable and were here the same day with excellent customer service. I highly recommend! They were prompt and completed the work in an excellent manner. I would definitely use them again and would recommend them to anyone else. Will was responsive to questions. Thorough in his explanations. Prompt in phone calls and appointments. He exemplifies a strong work ethic. Will was able to fit in my appointment despite very short notice. Fast, friendly and efficient service! All in all, I couldn’t be more pleased…I was happy to give them my business and the job was worth every penny and more. Don’t hesitate to call Will if the need arises! I found Discount Door Service on Angie’s List and saw Will and his company were highly rated…..Well they weren’t lying. …honesty, integrity and quality work at a fair price, and Will delivered on all the above. I wouldn’t hesitate for a minute to recommend Discount Door Service to anyone I know. Had them replace and install a new garage door opener that we purchased from Sears. Came out in the time frame they said, it went very well and very reasonable price. Did not try to up sell any additional services as another company had done before.